Deeplas profiles have a cellular core and an impact resistant outer skin. Some trim and cladding profiles are manufactured from rigid PVC-U. BS 476: Part 6: 1981 (Text Report 204982 – RTF/662) Fire propagation: I = 18.0,il = 8.8,i2 = 7.8, i3 = 1.4. BS 476: Part 6: 1981: (Text Report 204923 – RTF/663) Fire propagation: I = 11.7, il = 3.7, i2 = 5.5, i3 = 2.5. Deeplas cellular foam profiles are compatible with most other traditional building materials. Cellular foam is resistant to bases, non-oxidising acids, salts, alcohols, minerals, fats and oils, but can be affected by chlorided solvents, petrol, toluene, xylene, acetone, esters and to a lesser degree oxidising acids. Deeplas cellular foam does not support bacteria or mould growth and is resistant to wood boring insects and termites. In life cycle analyses and independent tests, the impact of PVC-U has been found to be favourable when compared with other manufactured materials used for construction. Deeplas is also committed to minimising the impact of its operations on the environment by means of a programme of continuous improvement. Deeplas have facilities for the recycling of PVC-U construction materials at the end of their useful lives. PCV-U is not toxic and presents no health hazard. Deeplas system components are manufactured and supplied to strict quality standards backed by ISO 9001 certification. Deeplas profiles are manufactured in accordance with BS 7619. In addition Deeplas co-extruded PVC-U roofline and cladding has been independently tested and awarded BBA certification. • Store flat on a dry, clean level surface. • Store in a shaded area. • In the sun, you obtain a greenhouse effect in the plastic packaging causing profile distortion and mould growth. • Do not expose protective foil to the sun for prolonged periods (It will be hard to remove and the printing may be transferred to the profile surface). Profiles should not be fixed when the temperature is Below 0°C or above 30°C. 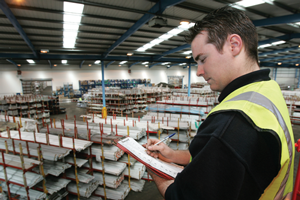 Before using profiles, acclimatise them to the temperature of the workplace (i.e. do not use warm profile straight away on a cold site). The system components are easy to work using normal woodworking tools for cutting, drilling and shaping. Similar to or preferably higher than those used for timber. Use a low-modulus silicone sealant conforming to BS5889. Refer to chosen manufacturers recommendation. Profiles can be washed with water and mild, non-abrasive detergent. 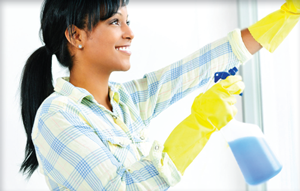 Solvent based cleaners or cleaning agents containing chlorine should not be used. Contact with composites based on bitumen should also be avoided. Solutions developed specifically to clean the profile are also available from Deeplas. For cleaning white profile you can use Decoclean, and for foiled you can use Cleanup. Scratches are difficult to repair entirely but they can be polished out using wet and dry papers. Start with an appropriate grade (180 or 360) moving down to 1000 grade. Finally, polish with a cream cleaner. Painting of the product is not recommended. It can cause embrittlement and dark colours will cause thermal distortion.